"I'm in love with you. Like, the kind where I want you to make love to me." 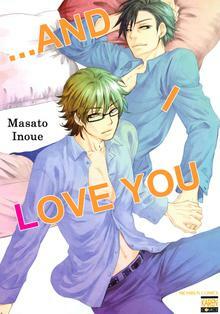 10 years after losing his wife, Haru receives this confession from his step-son Ryo. The two may not be related by blood but have up to this point lived a peaceful life as a family. Haru doesn't want for their relationship to change. He just wants things to stay as they are so nothing is broken. But love doesn't always work like that. "Playing Family," the carefully written story of a step-dad battling his emotions for his step-son, and other sentimental love stories are contained in this bittersweet volume. The high-schooler Fuji has a bad habit of taking other's attention too seriously. When he misunderstood his workplace manager's observing eyes as love, Fuji experienced lethal heartbreak that leads him to another misunderstanding. A random salaryman thought he's going to jump to the railway and deliberately pull him away! Since then, the two of them became acquaintance​s, but is Fuji's growing feeling toward the older guy is just another fruit of misunderstanding? 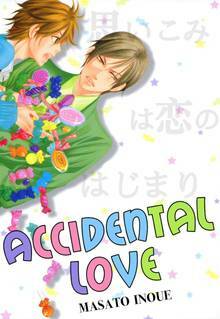 The spin-off from "Accidental Love"! "It's like someone is eating me!" Instead of sue the chef, the young salaryman chooses to "torture" him by going along with the chef's fetish.. Will their relationship goes beyond "eating" each other? We fell in love through the camera lens---. 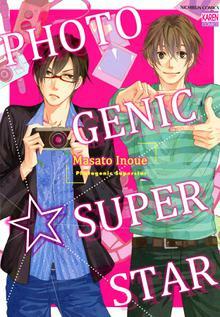 Mimasaka, a genius with a camera, returns to his university after losing his job to assist one of his former teachers. One day he's suddenly knocked over by the strange and slightly perverted Saki, who professes that he is in love with Mimasaka's gaps. 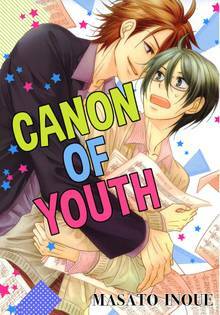 At the mercy of Saki's crazy behavior, Mimasaka oddly finds himself comforted by the passionate gaze of Saki through his camera. How long before their encounter through the viewfinder will lead them to love...? A sensitive boys love romance seen through the lens of a camera.